Nice 747. Low hours and cycles. The President was in Atlanta today to give a speech about drug overdoses due to prescription drugs. 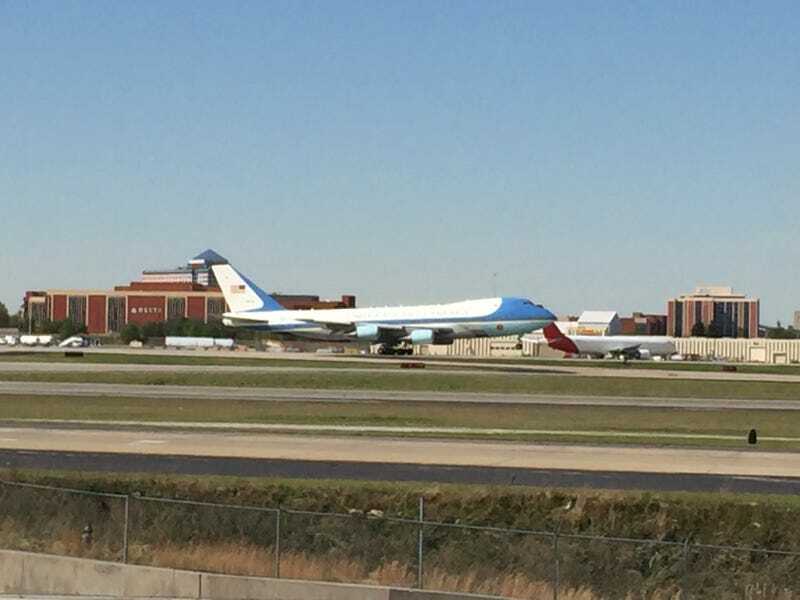 AF1 parked across the runways from us.